Have you ever asked yourself how was the DISHWASHER invented? 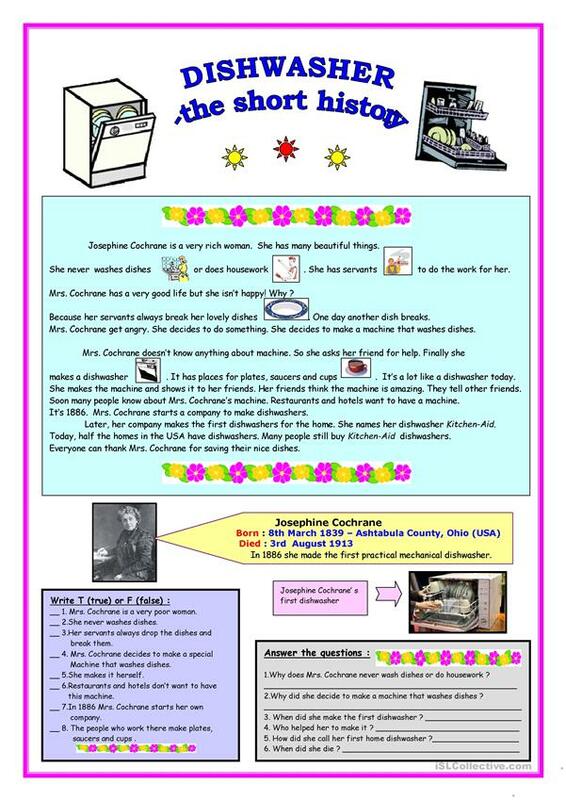 If you didn´t just read the short history about the DISHWASHER in Present Simple and Past Simple. After reading, the students have to write true or false and answer some questions (the key included). This is the TENTH part from the series THE SHORT HISTORY I made and it´s the LAST. This downloadable worksheet is best suited for elementary school students at Elementary (A1) level. It is excellent for working on your students' Reading skills. You will find the answer key at the end of the worksheet.